I had the chance to attend a dairy farm tour recently, at Barstow’s Longview Farm, a 7th generation family farm in Hadley, Massachusetts. If you’ve never done a farm tour before, I highly recommend it! Much like my recent tour of The Country Hen, I learned so much about how the animals are cared for, what it takes to keep up a working farm, and so much about where our everyday food comes from. What’s the first thing you think of when you hear dairy farm tour? Adorable baby cows with giant soulful eyes? Check. Close encounters with velvety soft pink noses? Oh yeah. Photo ops with the ever-present cow statue? Yup, even that. Mischievous farm dogs, rolling green hills, picturesque silos and barns, and a homey farm store round it all out. Pretty standard farm happenings. 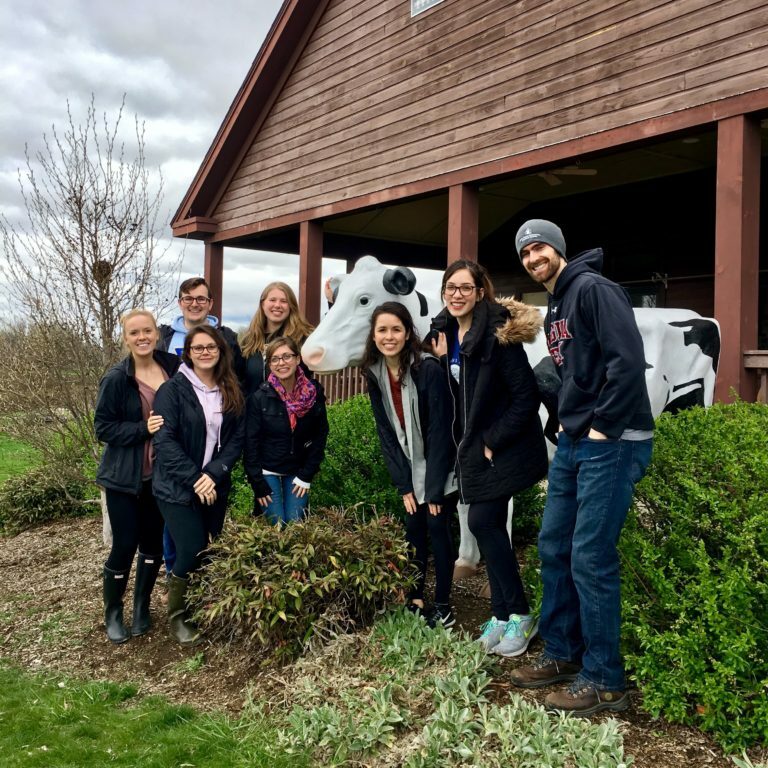 What I want to share with you now are a few things that may not come immediately to mind when you think of a dairy farm tour. Continue reading on Julia’s Blog!